Los Angeles, CA, February 9, 2018	(Newswire.com) - The Law Offices of Arash Hashemi is pleased to announce that Christopher J. Hammond has joined the firm as Of Counsel. "Chris is a welcome addition to our firm," said Arash Hashemi. "His experience and knowledge of law is a valuable assets for us and a great tool for our clients." 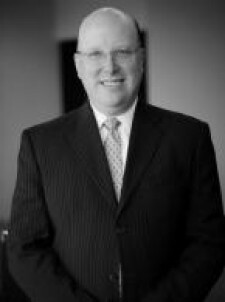 An accomplished attorney with years of experience, Christopher J. Hammond has litigated cases in a variety of areas, including toxic torts, business litigation, real estate, consumer protection, premises liability, products liability and landlord tenant disputes. He has also argued and practiced before the California Court of Appeals. Mr. Hammond has defended many complex cases involving asbestos, benzene, solvents, silica and manganese. He is thoroughly familiar with the asbestos General Order for Los Angeles, San Francisco and Alameda counties in California. Mr. Hammond has drafted and successfully argued numerous summary judgment motions and has vast experience in both product and premises cases. Born and raised in upstate New York, Christopher Hammond, relocated to Los Angeles to attend California State University, Northridge. He graduated with a B.A. in Political Science in 1987. Mr. Hammond received his J.D. from Southwestern University School of Law in 1990. After law school he formed a partnership with Seymour S. Simon, Esq until 1994. The partnership practiced primarily in the areas of tort and business litigation. He also served as Chief Legal Counsel for the Reynolds Group. Mr. Hammond is admitted to practice before all California State Courts and the United States District Court for the Central and Northern Districts of California.